This post has been sitting on my drafts since July 3, 2015. The uncertainty of whether to post or not has been daunting. This year, I said I would take more risks and go out of my comfort, so here it is. I decided to finally share this. Have you ever felt like an imposter? An imposter of your own life? That you have come so far and you have worked so hard to accomplish your dreams, but it feels as if you stole your success from someone else? And that someone else is no one else, but your own self? I am a 1.5 generation Canadian. I grew up in Greece till the age of 12 and moved to Canada right after. If someone asks me if I feel more Canadian or Greek, I say neither. I am a child of circumstances, I am a citizen of better opportunities, I am a child of discovery. The immigrant child has a heavy weight on its shoulders, an unfulfilled space in the heart that no one understands unless they have at one point in their lives been an immigrant child. Technically, I am not an immigrant. I gained Canadian Citizenship through my dad, but saying you are an immigrant to me goes beyond proper definitions and formalities. I have always been an A+ student, needless to say getting a B was unacceptable in my books. My parents never pressured me about grades. If anything they supported me regardless of the results. I, on the other hand, had different expectations for myself. I thrived on writing essays, I thrived on being educated, I thrived on expanding my knowledge, but for me all this came with a price. I always put studying before my social life and even though I knew I had earned those A+ grades through hard work and dedication, I always felt like a fraud. As if I didn’t deserve it, that somehow out of pure luck I got an A+. The expectations I placed on myself had been high as a kite. No question asked, I reached that kite each time, but even so, the accomplishment never felt mine to celebrate even though it was. It was all mine. And what a sad life that is, to be so accomplished, to have reached so many milestones, but feel as if they weren’t mine to celebrate. They weren’t mine to keep. It was not until I did my Masters in 2013, I found out that these feelings are real as they come and there is in fact a name for it. The imposter syndrome. I am no expert on the subject, but through my research I discovered that it’s not just a feeling experienced by immigrant children, but by others as well. It just happens that the symptoms and frequency for first generation individuals are more acute compared to non immigrant individuals. Imposter Syndrome. So when does it end? Honestly, never. The more I accomplish, the smaller my accomplishments seem. The more I accomplish the more I feel like I am failing. The paradox of experiencing impostor syndrome is undeniably tragic. No accomplishment will ever be good enough for me. I do hope though that my impostor syndrome continues to motivate me to strive and create. So if there is no end why write this? Because I hope to spread awareness that for those feeling this way; You are not alone. I was so perplexed for so many years not understanding why I feel like a failure when I have so many accomplishments that clearly indicate I am not a failure. If you feel the same about your own self, I just want you to know that your feelings are not as foreign as you think. They are not to be dismissed. These feelings are what have made you the person you are today. 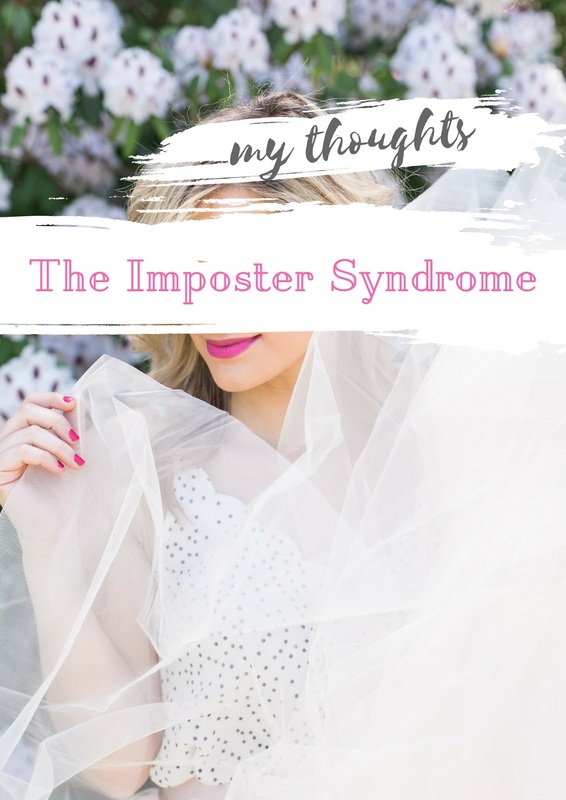 I have come to embrace my imposter syndrome, because without it I wouldn’t have the determination and drive I have today. If you would like to read more on the subject, the book that opened my eyes while doing my Masters is called The First Generation Student Experience: Implications for Campus Practice, and Strategies for Improving Persistence and Success. Do you constantly feel like a failure? How do you deal with these feelings? I`ve never heard of this syndrome before, and to tell you the truth I can relate to some of these feelings. I`ve always thought it is my desire to reach perfection, which of course is something unattainable. My major 2018 resolution is to start giving more credit to myself for everything I accomplish either small or big and being less harsh about the things that don`t go as well.I think this will change both my everyday life and my perspective on life. Thank you for sharing this. I get too caught up in making sure my life is perfect and that I am always achieving something greater than the present, that I forget to “stop and smell the roses”. So I am never satisfied at the moment. I am working on celebrating my achievements and enjoying the ride! Thanks for stopping by Antonia! This is definitely something I struggle with everyday, but it is so important to celebrate even small achievements because every little thing we do is important to where we are going. Thank you for sharing your thoughts.